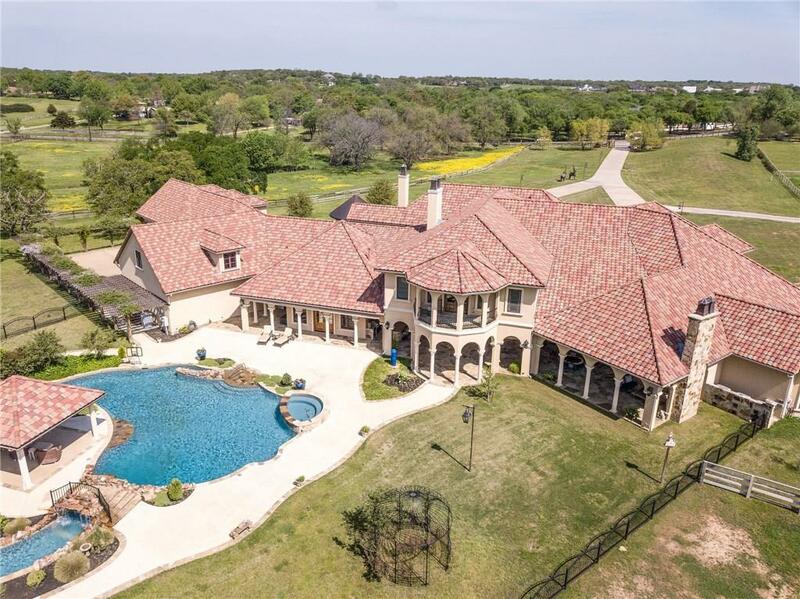 ONE OF A KIND Estate on 20+- acres in Flower Mound. 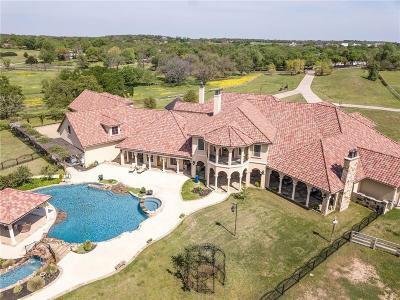 Breathtaking drive up with a private gate, large pond with fountain, and a circular motor court. Amazing two story main room, stunning interior woodwork, and master finish out set the stage for this grand estate. Luxurious Master Suite boasts a personal sitting room, dressing room, circular shower, and massive closets. All bedrooms are LARGE with walk-ins and attached baths. The kitchen is a chefs dream with every bell and whistle! Dual game room, elevator, private outdoor patios, sparkling resort-style pool, relaxing lazy river, and a cabana.